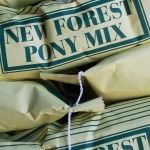 We are large, experienced and reliable suppliers of horse and farm feed throughout the New Forest, Hampshire and Southampton areas. With our help and expertise feeding your equine friend does not need to be complicated. Feeding correctly for age, type, activity and temperament is vital for a happy, healthy and manageable horse. 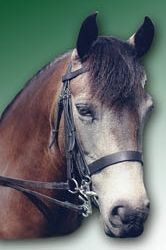 Our friendly, qualified staff are always pleased to talk about your horse, helping you to select the correct feed. We receive regular training, keeping us up to date with the latest in equine nutrition. Having direct contact with our suppliers nutritionists for more specific advice and help with any feeding problems your horse may experience. 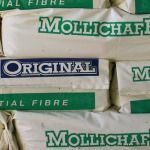 Our large warehouse stocks an impressive range feed from Allen & Page, Badminton, Baileys, Blue Chip, Dengie, Dodson & Horrell, Pure Feeds, Heygates, Spillers, Top Spec, Mark Westaway including our own New Forest quality, low cost range of nuts and mix. Whether you have foals, youngstock, breeding stock, veterans, over weight, underweight, retired ponies to International Competition Horse, whatever your budget, we are your one stop supplier for horse feed and bedding. Norris and Sons cater for both the hobby and commercial farmer. 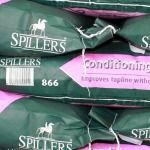 We hold in stock a large range of farm animal feed for pigs, cattle, poultry, goats and sheep from Trident, Badminton, Spillers and Heygates. Including quality organic farm animal feed from Allen and Page. We offer haylage from Westaways and are proud suppliers of good value, great quality New Forest Haylage. Hay and straw by the bale, for collection or delivery. Equine bedding from BedMax, WoodPecker, Burleybed, Raviera, Natures Best and Aubiose. Why not let us do the hard work and take advantage of our delivery service for feed and bedding? Members of staff are AMTRA Suitably Qualified Persons, enabling us to offer advice and sell equine wormers. We look forward to seeing you and helping to keep your animals fit, fed and healthy.